ahhh...gardening, and its great! 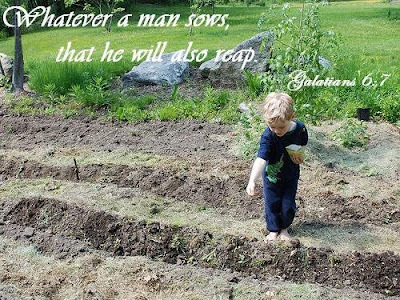 I love gardening, and the verse, and photo! I love your photo too! This is one reason why I always choose justice and truth. how sweet - but also a very powerful truth! very inspiring my friend thanks for shairng. Hope you visit mine too. So very cute ~ and a great verse for the picture. what a great reminder to all of us..
i'm constantly reminded about this! I need to make sure i'm on the right track so I'm sowing the right thing! Thanks to you guys...Indeed, it is a great reminder to all of us!